Travis Roy first put on ice skates when he was just twenty months old. As years passed, his love for the game of hockey quickly became a passion. In the fall of 1995, Roy accomplished one of his dream goals by earning a hockey scholarship to Boston University. At twenty years of age, he entered into his first collegiate hockey game. Eleven seconds into his first shift, his life changed forever as he crashed into the boards and cracked his fourth and fifth cervical vertebra, paralyzing him from the neck down. While coming to grips with his life as a quadriplegic, he returned to Boston University less than a year after his accident. Four years later, he graduated with a degree in public relations from Boston University’s prestigious College of Communication. In the storied history of BU Terriers hockey, Roy’s #24 is the only jersey to have been retired. In 1997 Roy wrote his autobiography, titled Eleven Seconds, with Sports Illustrated’s E.M. Swift, chronicling his accident, rehabilitation, and perseverance through personal tragedy. 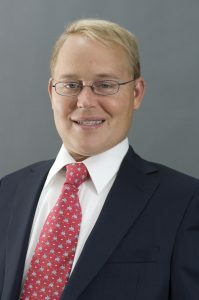 In 1997, he also founded the Travis Roy Foundation, a 501(c)(3) non-profit that focuses on finding a cure for spinal cord injuries and provides grants to spinal cord injury survivors in financial need to help them purchase the costly adaptive equipment necessary to live more active and independent lives.